After reading about Baked Lemons stuffed with Mozzarella on Six Course Dinner, I knew I had to try it. Using the basic technique, I decided to add my own concoction to the mix. First I preheated the oven to 300F. Then I halved the lemons, removed the flesh, and set them in a baking pan lined with foil. I chopped up some fresh tomatoes & cubes of burrata mozzarella. I stuffed it all inside, added a little salt, pepper & olive oil, and then topped it with this amazing pistachio, sun dried tomato pesto that I bought at the Pasadena Showcase House a little while back. I baked it for roughly 10 minutes, until the mozzarella was all melty & delicious. 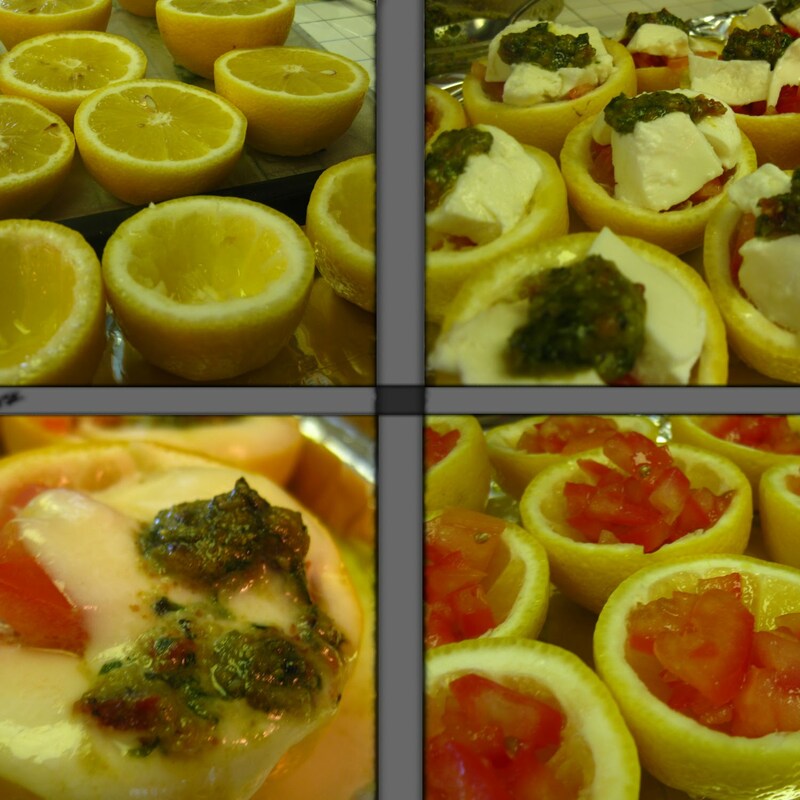 The Mozzarella really absorbed the flavor of the lemon, which complemented the fresh tomatoes perfectly! Next time I make this however, I think I'll add a little panchetta to the mix.